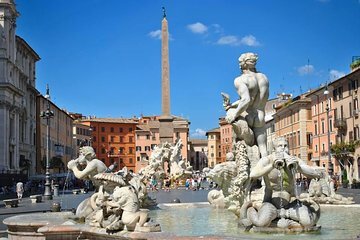 Discover why Rome is called the ‘Queen of Water’ on a 3-hour Segway tour that traces the path of fresh water from ancient Roman aqueducts up through splashing Baroque fountains. Learn about the remarkable engineering of the Virgin Aqueduct and how water played a crucial role in shaping the city. Visit the ruins of ancient public baths and ornate fountains that form the centerpiece of Roman squares. Cover much more distance than walking and prevent foot fatigue as you cruise around on a smooth-moving Segway.